Mineral resources are non-renewable resources. More and more mineral resources have been mined and used. The new MW Series Micro Powder Mill can process all kinds of mineral resources to improve the comprehensive utilization, make finite resources play the greatest value. Utilization of mineral resources has a direct relationship with the fineness of the material. For coal, the fineness finer, a large area exposed to the air, burning more fully. The same weight of coal and coal powder combustion heat release are different. Coal burning is not sufficient, which will produce carbon dioxide and solid waste. Therefore, the material fineness finer, more uniform, higher efficiency. Liming Heavy Industry MW Series Micro Powder Mill is a special grinding mill for crushing coal and other ore to powder to make full use of resources. 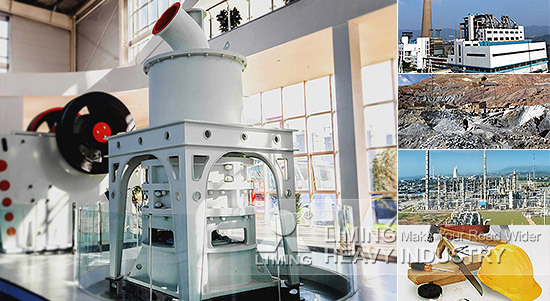 <<Next：Which grinding mill has better effect for bentonite processing?